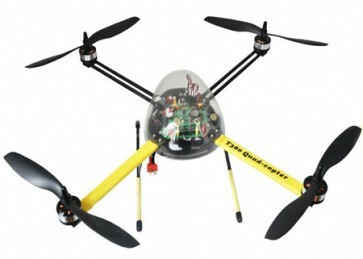 T380 quad-copter is a mid-level aircraft designed mainly for FPV players. 1) High efficiency: 8inch slow fly propellers and Disc brushless motors, the optimal efficiency is able to reach 9g/W. 2) Stability: utilizes a high-performance MEMS sensor for 6DOF stabilization with low drift, shock resistance ability. 3) Simple: a minimum 4remote control proportion channels are required to fly, Property core system, it is compatible to all RC equipments. 4) Easy to operate: Can be installed in a few minutes. 5) The T380 can take off and land vertically, altitude hold, hover, fly left and right, etc.